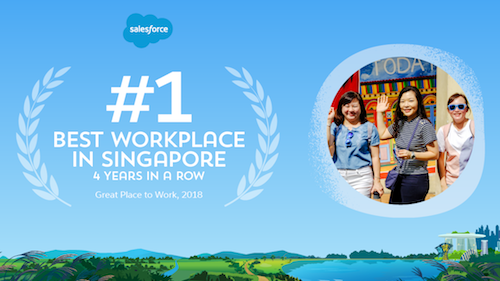 It is with great pleasure that I announce that Salesforce has been named the #1 Best Place to Work in Singapore by Great Place to Work for the fourth consecutive year. This recognition is a big win for all of us at Salesforce and speaks to the wonderful achievements of our employees in Singapore who live and breathe our values every day. 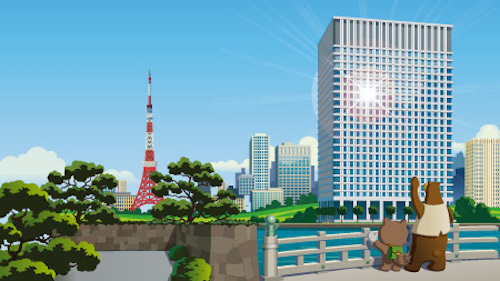 The Asia-Pacific region has become one of Salesforce's fastest growing regions globally, helping the company continue to grow and achieve some amazing milestones. Yet what continues to impress me most is our commitment to fostering an inclusive workplace, and how culture has remained an intentional element of our company. 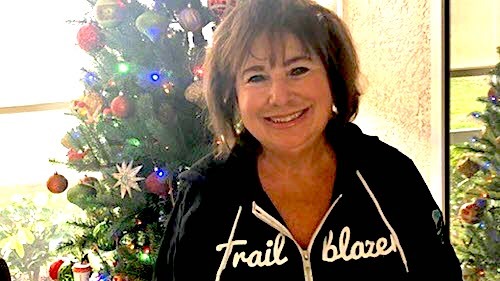 I've been part of the journey with Salesforce since 2008, initially as a user at Dell and later at Phillips. It was then in 2014 that I officially joined the Salesforce team. Even though I'm a Dutch native, I spent more than 10 years of my youth in Asia, so joining and working with the wonderful team here was an opportunity I gladly took. Since I joined, there's been spectacular growth here and one of my goals has been to make sure that everyone I come across feels welcomed into our Ohana so that we can build a trusted relationship from the beginning. The term Ohana is commonly used here at Salesforce. It means “family” in Hawaiian and represents the idea that families – related or chosen, are bound together and members have a sense of responsibility for one another. It's one of our guiding principles but it's not just employees that we refer to as part of the Ohana, it's our customers, partners and communities too. I feel incredibly lucky to be part of the #SalesforceOhana. One thing that I'm particularly passionate about here at Salesforce is our commitment to giving back. Our company and our employees donate their time and money to improve the communities in which we live and work with the 1-1-1 philanthropic model, which is based on the simple idea that we allocate 1% of our product, people, and resources to charity and non-profits. Through this initiative, since January this year, employees in Singapore have already given back an enormous 7,319.5 hours in volunteering time. We work with over 1,500 non-profits across Asia-Pacific including some truly amazing organizations here in Singapore such as: Halogen Foundation, Waterways, Asian Women’s Welfare Association, TOUCH Seniors, AWWA Seniors, and Food Bank Singapore. Our employees are encouraged to take up to seven days (56 hours) of volunteer time off each financial year so they can contribute to whatever causes that are close to their hearts. Employees who complete all 56 hours (and sometimes more) are considered our “Volunteer Rockstars,” the top 100 even receive USD $10,000 in grants to donate to the non-profits of their choice. We already have 23 employees in Singapore who were named Rockstars! We're champions of equality at Salesforce and believe that inequality in all its forms – gender, LGBTQ, racial, or otherwise — is an issue that every company must address for its own benefit and to create a better world. Last year, we proudly signed a joint letter with nine other tech companies including Google, Facebook, and Apple to show our support for Pink Dot, Singapore’s annual LGBTQ gathering. 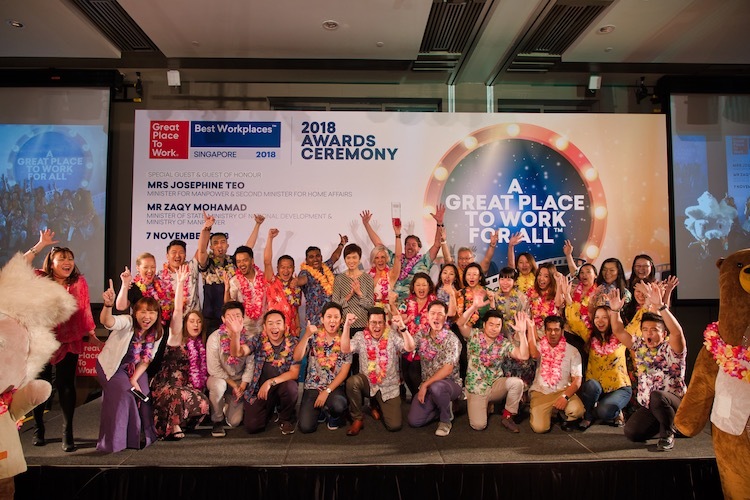 Our people are at the very heart of our business and we're committed to honoring the reasons which have made us the #1 Best Place to Work in Singapore once again. I can't thank everyone enough for all their hard work and it is thanks to them and their belief in our culture that has brought us this achievement. We are humbled to be featured alongside so many great companies. I'm incredibly lucky to be able to work with such inspiring people here in Singapore and will be continuing to champion their successes. It's going to be another great year!